I started this blog one year ago today……how fast did that go? I will answer myself with very fast. I knew I would enjoy writing and documenting the build and our life. I didn’t realize how much fun it would be to connect to people all over the world, some like us, building a home and some just writing great stuff about life. I love that I can talk to my husband about my conversation with Jo (House by the water) and he knows who she is. Or finding a thoughtful pin sent to my Pinterest board from her. 😊 Or how much I have learned about South Africa (home-in-the-making) and how lovingly and honestly AD writes about her home and her country. (Self Build House) on the Isle of Skye. Those ocean views, and who has a real ruin in their yard? I am jealous and I can’t wait to see the blue kitchen. Being excited for Jennifer when her slab was poured here in the US. (Building Northcutt Home). I have found it so exciting to see these homes grow. Looking at the plans, the elevations watching the stairs go up, discussing the fireplaces…I love to see and hear about the castle the water the neighbors or the weather. The good stuff with the bad. How fun it has been this last year exchanging ideas. Real genuine ideas. Watching these totally different homes go up brick by brick or cinder block or board. And imagining one day visiting them on those amazing porches/ decks/patios. Wine or tea in hand 😄. This year I have enjoyed very lively conversation ranging in topics from ‘barely there’ dresses to religion to blogging :). (theeditorsjournal). It has made me think, think about interesting topics that don’t come up in my daily life. I have had the opportunity to travel before I was married. I lived in Germany and traveled around Europe a bit. I have traveled across Canada and have visited a lot of the States. But with four kids and a farm, we don’t travel much anymore. Horses, cows, dogs, goats…..they all need to be tended, But having a blog has opened up the conversation in my life. And given me the feeling that travel did. And I love it. :). In the end how fun it will be for my kids to look back and see our little family life documented. If nothing this blog has shown me how small this world is and how connected we all are. I hope in the coming year, to learn how to link to other blogs (yours) and take and edit prettier photos. I am taking baby steps here 😉. I plan to continue having fun and enjoying the lovely banter. So thanks for inspiring me this year. And following this journey. We were a bit frustrated last week when we set all the beams out and realized that we didn’t have the sizes that we were supposed to. And that two of the beams are not structurally sound. We actually paid for a second engineer to look at the beams in Pennsylvania , and make sure they would be structurally sound before they were shipped here. A bit frustrating, but part of the learning process. 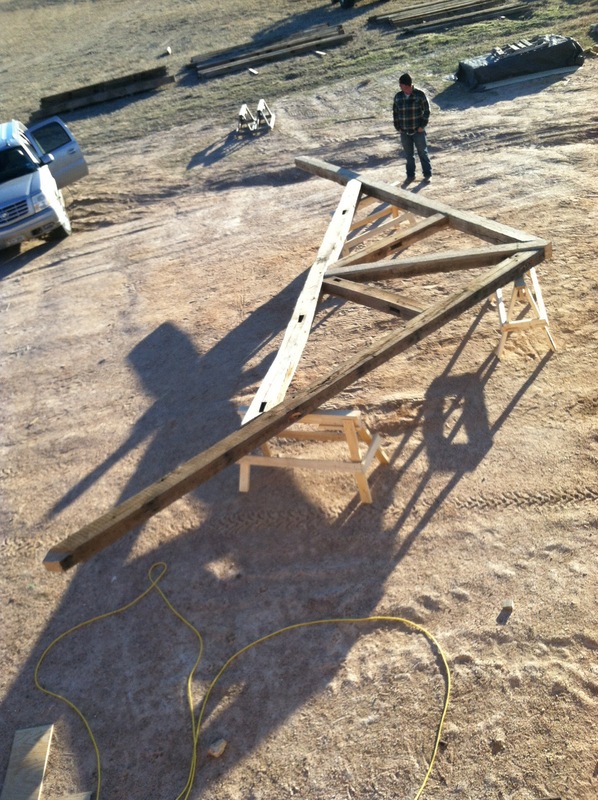 So our bottom beams were supposed to be 8 by 12. They are 8×8….hmmmmm. The man we bought them from is not going to honor his list so we are just going to go with what we have. We might have to buy one or two more beams. (Not from the same guy). They are 20 feet in the air so they will look smaller than I had imagined, but it is still beautiful, amazing wood so crossing my fingers I will love it. With the white wood as ceiling material I think it should still be great. This is standing on the second floor looking down. (The saw horses worked perfectly). :). Hopefully tonight I will have a photo of it up. The artistic part is beginning in this adventure. Here are some home photos that I have been collecting over the last year. My brain is getting a bit fuzzy with all the decisions that are being made here on a daily basis. So I started an album with all my favorite ideas, on my ipad. That way in the meetings I can show photos of what I like so everyone can see what my vision is. 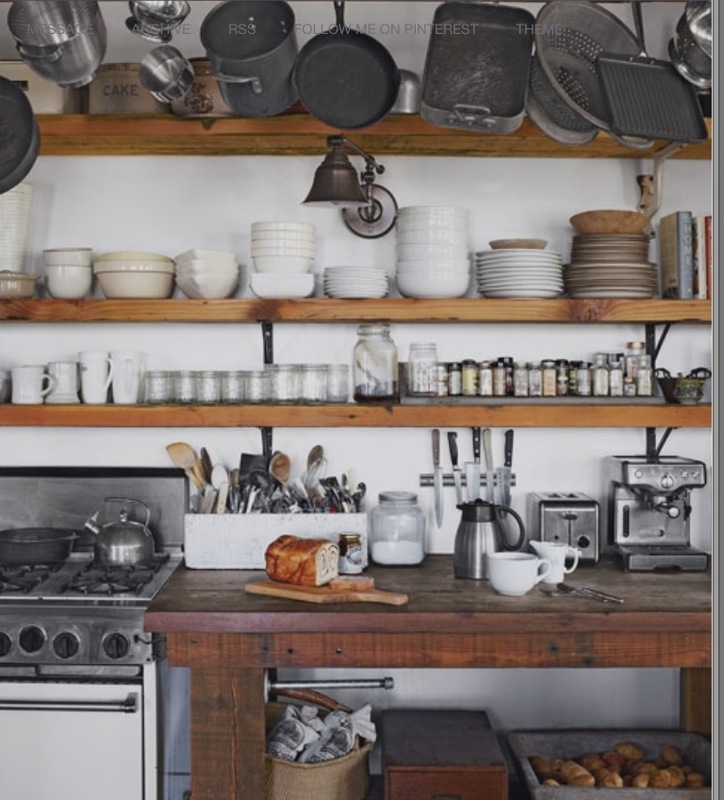 Most of the photos come from Houzz or Pinterest or Country Living Magazine. I love the colors in this kitchen. We are going to have concrete counter tops. 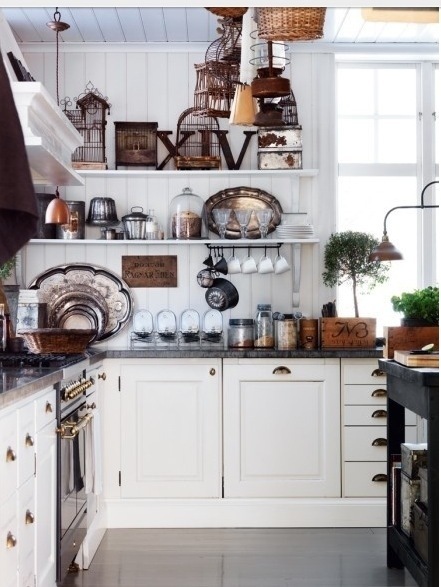 And white or off white distressed cabinets, with open shelving. Our open shelves are going to be wood like these. I love this entire home. 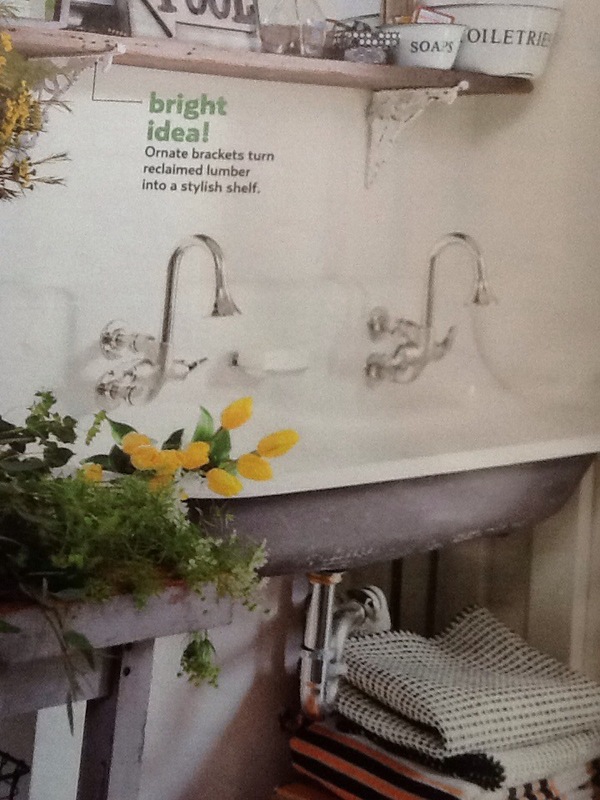 It was featured in Country Living Magazine and it is amazing. I found this picture in an old 2011 copy of Country living Mag. (so thankful I have saved these for so long) We are going to put these sinks in the kids bathrooms. They will have no cabinets under them. Just free standing with shelves on the side. I think they will be great for the boys bathroom. The girls are my concern, when they get older and need the space for makeup and blowdryers. This picture is of the four foot sink. I think we are going to go with the three foot size. 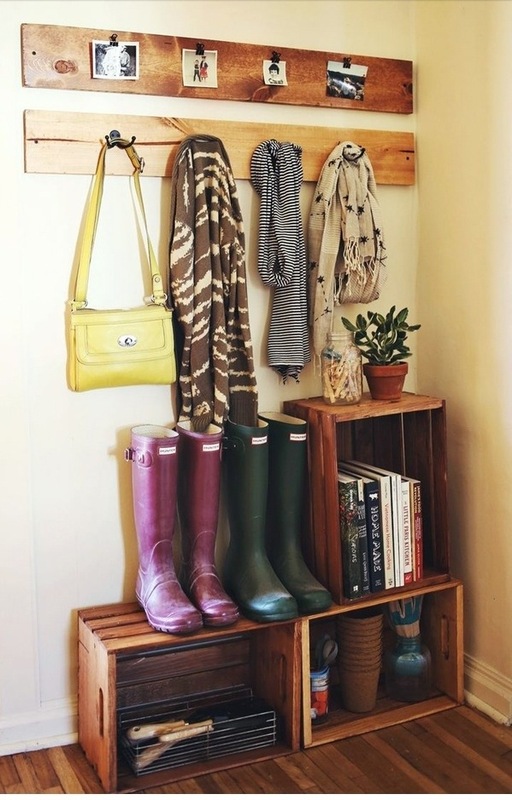 To save some money and to give another foot of space for storage? Still not sure. The kids start school in nine days, it will be here so soon and this summer will be a memory. In the last couple of years I have gotten used to the kids being at school, and being able to run errands with just the wee man. Or the wee two anyway. Today I had a bunch of running around to do and Dad had tractor work, so no one could stay home with him. And this stuff needed to get done. We had nine stops to make. I usually take snacks, my stroller, blankets, extra clothes, to just name a few. But today we got to every store and drop off and look at and pick up, that we needed to without a hitch. (what is a look at? its a look at some flooring samples and let me know what you think.) I didn’t bring a DVD so they couldn’t watch movies (that is another post). We listened to the radio and we visited. It was such a nice day. Days like today just hit me. My kids are getting big. They are really at the perfect age. They think Dad and I are cool, they don’t drive, and they don’t wear diapers. Really what else can you ask for? Our big kids have been gone for almost two weeks. They went to California to visit their Grandparents. All four of us here have enjoyed the pictures and phone calls. It is the first time they have ever been away from us for more than a night. I thought I would be worried or sad, but it has been such a great experience for them and for us. My two littles who are six and three, have had so much time with me these last two weeks. I have really had the opportunity to ‘be’ with them. Weather making pancakes or eating ice cream or shopping for school supplies. I am not in such a hurry, I want this to be the way we are. Relaxed…..
My big kids have made memories with their cousins that they will have forever, my littles have been counting down the days until the bigs get home. I can’t wait to have all my little people under the same roof. I think sometimes these big changes are what we need. To stretch ourselves, to take a moment and reevaluate what we are. Our life looks the same so often that we miss the big picture. I am rambling now. But it has been a big deal, this two kids home and two kids gone. My big kids are nine and eight. Its not like they are on the verge of leaving. But we are kinda half way there. And its odd, and crazy to think soon this will be normal. My first blog post… I have been thinking about doing this for some time. And today decided to jump. We live on a horse farm, and sadly today we had to put down a very old mare. It made me think that time is slipping by. My kids are getting big. Our life changes every day. And I need to do some things on my….. well I guess my bucket list. So today I decided to jump right into this blogging world that I enjoy following so much. I will ramble I am sure, and I am not so computer savvy but I am going to plow through and enjoy the process.